Love this homemaking party! Have a great day! Dear Jes, I am honored and blessed to be a part of this sweet party! I hope you have a great day! And enjoy the fruits of your labor! I tried to add your box to my blog post, but I couldn't get it figured out. I've never linked up with one of these, so I guess I need to get it figured out! 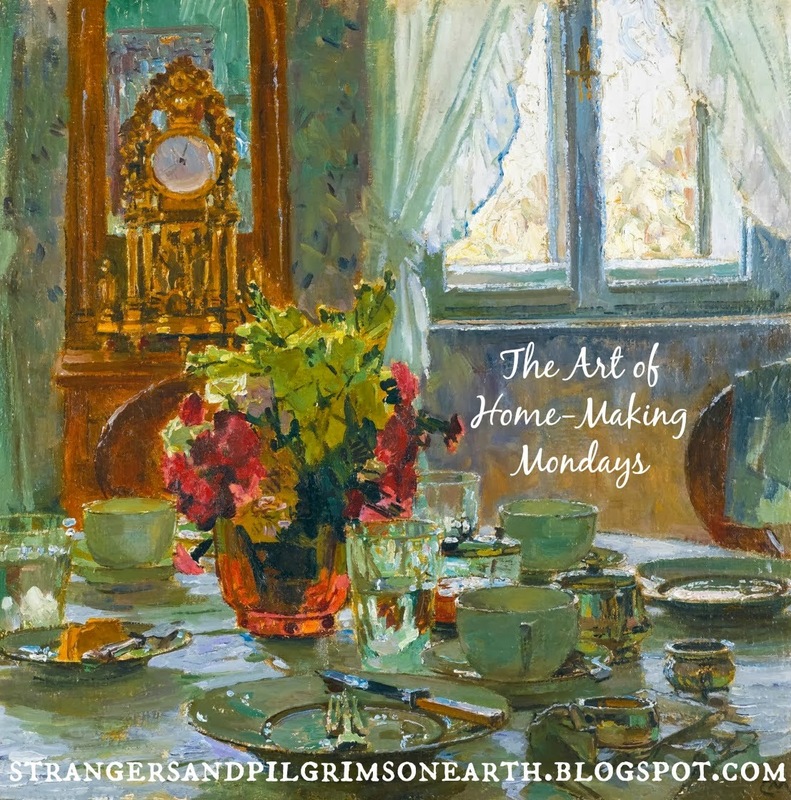 I love anything that has to do with homemaking, so I love this!! Hi Sandra! Glad you joined in! The button is a bit tricky... Just copy the code in the box and then, in your blog post writing, switch to "html code" and paste in the code while in that mode. Then, when you revert back to "compose", the pretty picture should show up. These buttons I am speaking of are in the upper right hand side of your menu when you write your posts. Hope this helps :) I am honored that this is your first link up! I just added a few posts. I will catch my daughter (when she is done studying for upcoming exams) and ask her help to put your link-up address in the side bar. Your link-up is so visually beautiful...your whole blog is :) I am praying for you all and hope you are well in the Lord Jesus! Hugs! Thanks Jacqueline for stopping by and adding more goodies. And best of all, your sweet sentiments and prayers!